Professor Gilles-Eric Séralini has now found that other, supposedly “inert,” ingredients associated with Roundup are even more dangerous than its primary toxin. Action Alert! Séralini’s recent study, however, shows that glyphosate alone is actually less toxic than Roundup. Regulators evaluate the safety of a pesticide or herbicide mainly by looking at the active ingredient—such as glyphosate—while commercial versions of pesticides contain other adjuvants that may be kept confidential by industry. Companies say that they add ingredients to pesticides other than the active ingredient (the chemical designed to kill weeds, pests, etc.) in order to make the product easier to spray, more readily stick to plants, store longer, and less likely to wash off in rain. These additives can make up as much as 95 percent of a pesticide. But based on this study, the adjuvants may be doing much more. The EPA requires that only the active ingredient be studied for medium- and long-term toxicity. Companies are not required to list inert ingredients on most pesticide labels. The work of Prof. Séralini and his colleagues shows just how dangerous these pesticide adjuvants can be. 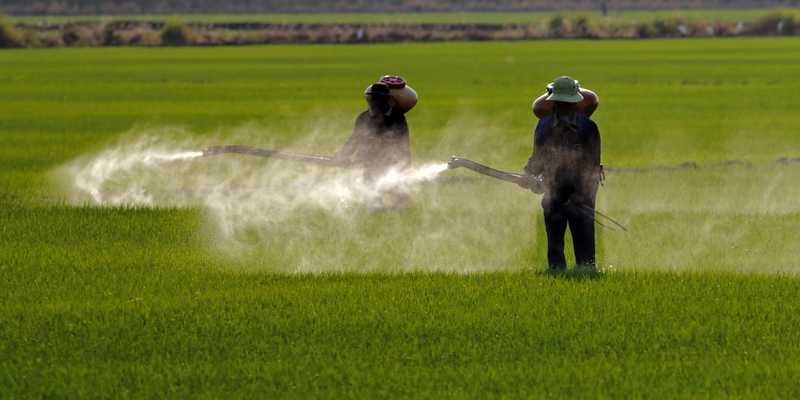 The team found that eight out of nine pesticides tested were up to 1,000 times more toxic to human cells than just the active ingredient. This represents a massive failure on the part of the EPA to hold industry accountable to even basic standards of safety. The fact that so little is known about the safety of inert ingredients for human health is a scandal. When we do have information, the facts are hardly reassuring: according to one study, more than 200 chemicals used as inert ingredients are listed as hazardous pollutants in federal statutes governing air and water quality. Another report found that a 1995 list of inert ingredients included 394 chemicals that were listed as active ingredients in other pesticides. Action Alert! Write to the EPA and tell them to test entire formulations of pesticides, rather than just “active” ingredients. Please send your message immediately.